London Calling: Gotta have them all? Since early childhood I have been collecting; from the tea cards that came in a box of PG Tips (whatever happened to them?! ), through to collecting stamps (blame my father for that one), to coins (grandmother); to erasers, bookmarks and pin badges. The last three were a catalogue of places we visited, purchased in every souvenir shop. 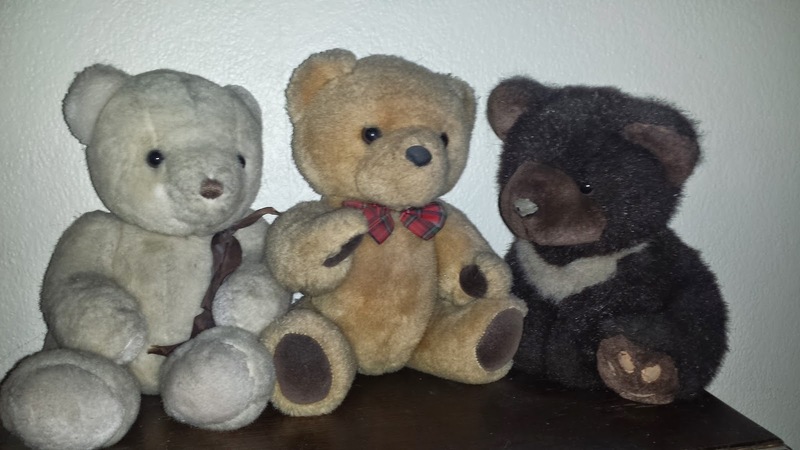 As I grew older I added my collections - through my teenage years it was teddy bears (most of which now live in my mother's loft); a few of whom followed me around my University lodgings. 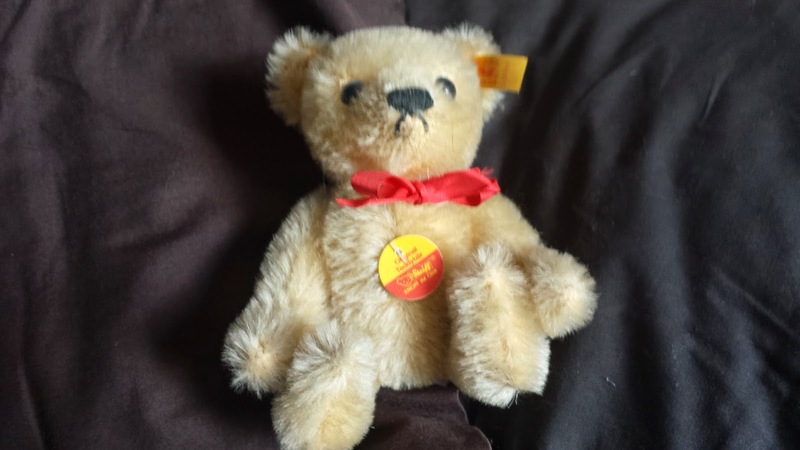 The natural progression from bears was to Beanie Babies. The very first one I owned was actually a robin (before Charlton games they play "When the Red, Red Robin comes bob, bob, bobbin' along") which I bought in JFK Airport to tthing. At it's height the collection exceeded 750 Beanies. 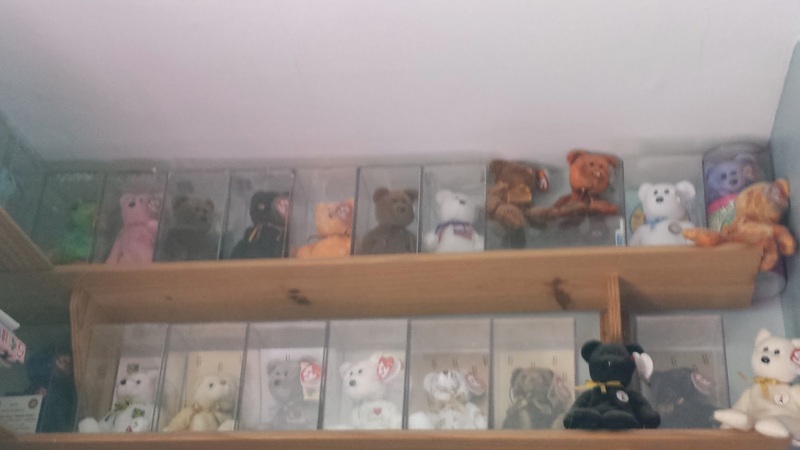 The majority of these are now stored in the Pink Room or my mother's loft; the most expensive ones (bought for me by my Husband) remain on display. At some point early in 21st Century the Beanie market collapsed (as these things will). Whether it was the change in focus to Beanie 2.0 or the increasing commercialisation with franchising from movies and TV shows, or just a bubble that burst who can say. The fact is that the value of collections went up in smoke and the secondary market vanished. At this point, possibly for the first time in my life, I wasn't collecting anything. Several years down the line I have a few fledgling collections; my spoons, my snow-globes, my London memorabilia and most recently my penguins. Happily nothing on the scale of the Beanie Army (there just isn't the space). Now collecting has become 'virtual'. Social media sites (to engage their users) offer badges/stickers for various milestones. Foursquare (an app for cell-phones) allows you to 'check-in' to places you go to; shopping, eating, or being a tourist. I like it as it reminds me of trips and so forth; especially as you can add your own photo. Worse still is GetGlue (now known as TV Tag but habits are hard to change). When I first met it you could 'check-in' to TV shows, movies, books, music and games. For (probably) commercial reasons the focus was changed and it moved to only TV and movies. I find it useful to keep track of movies I have watched; and fun to see how much I watch a TV show... but is is very US centric and doesn't really allow for over-seas viewers; who miss a lot of 'stickers' as they view shows later than in the US. So here we are, an endless collection of virtual achievements via Social Media; but at least the contents of the house are manageable!